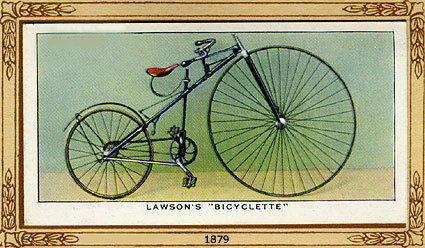 A wonderful bicycle collectible that's not too hard to find or too expensive is a set of Player's Cigarette cards. 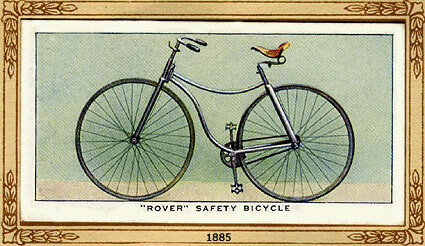 To promote their cigarettes, Player's put these informative and illustrated cards inside and encouraged buyers to collect the whole series by offering a book to paste the cards into. 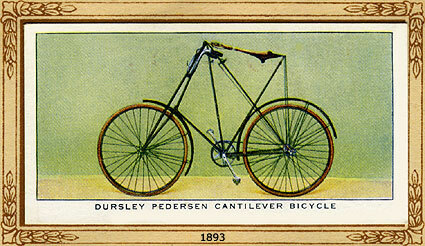 While their cards covered many subjects, I've only been able to find and purchase the bike history collection shown below. 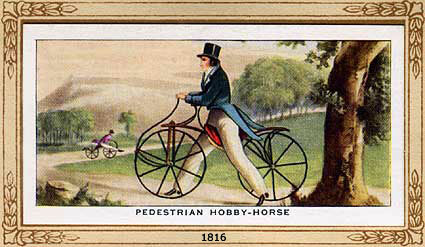 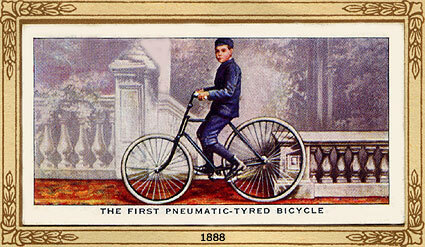 If you stay at the top of this page, you'll be able to see the metamorphosis of the bicycle from 186 to 1933. 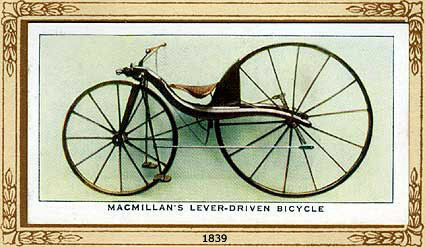 Or scroll down to see the individual bikes and read about them. 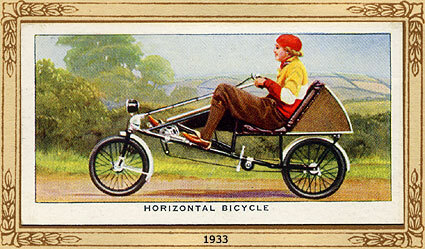 Thanks to amateur bicycle historian and San Antonio wheelman, William Hudson, here's a much more detailed history of bicycle innovations.